Take your aerial filming and photography to a new level of creativity, innovation, and professionalism with our highly versatile aerial crews and state-of-the-art equipment. Whether its motion picture or aerial photography, be it for movie, commercial, music promo, broadcast, or corporate productions, our photography service can assist you in bringing your vision to new heights. Have you ever considered how a helicopter can be an advantage in your operation? An experienced pilot can save your project thousands of dollars with accuracy and efficiency in operations. 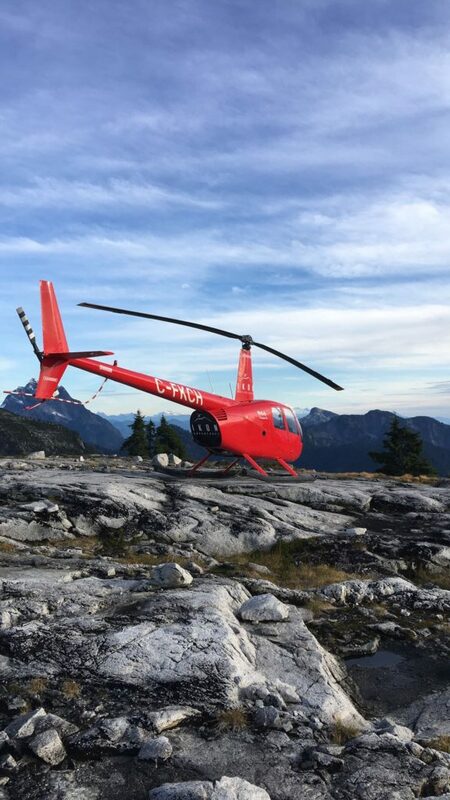 Ikon Adventures is available for all kinds of forestry and wildlife services beyond fire suppression, such as transporting crew and equipment and performing wildlife counts and aerial surveys. Ikon Adventures can help with your remote transportation and well-head service needs. Crew moves, pipeline construction and well-site inspections. There are many advantages to aerial applications; better coverage, no trampling of crops, no ruts are made in the fields, and so much more. One of the best advantages is faster applications, and our experienced team is happy to assist in greenhouse glass cleaning, shade painting, mosquito control, cherry drying or any of your aerial application needs. The Robinson R44 offers the most reliable and cost effective light duty helicopter on the market today, without comprising on performance or passenger comfort. With the two plus two seating arrangement and no centre bulkhead, front and rear passengers get uninstructed views from the large door windows and main bubble window. Any or all doors can be removed quickly if the job calls for it or if you just want to experience the feeling of propelling through the air with an open cabin on a beautiful day. If there is something outside our scope of work that the Robinson R44 cannot accommodate, don’t think that’s all we have to offer! we can provide services through our partner, Hunter Helicopters, which offer many highly skilled pilots and diverse helicopter fleet. We looking forward to working with you soon!